The Department of Angiology, Phlebology and Endocrinology at the Preventicum Diagnostic Clinic specializes in the diagnosis and treatment of arterial, venous, lymphatic vascular diseases and all hormonal imbalances (endocrine disorders). All medical services are provided in accordance with the latest scientific standards and with the help of the latest medical technologies. Particular attention is paid to the comprehensive diagnosis of pathology. The department is headed by PD Dr. med. Christian Berg. In the field of angiology, patients are offered non-invasive diagnostics, medication or interventional therapy. In addition, the specialists of the department are engaged in the investigation of the causes of vascular diseases. Circulatory disorders in the afferent vessels (arteries) are a common problem in the elderly and are often caused by malnutrition, sedentary lifestyle, smoking and high blood pressure. Another important department’s focus is endocrinology. The proper functioning of the hormonal system is the guarantee of well-being and a healthy life. Most of the "common diseases" develop due to the hormonal system dysfunction. There are many causes of endocrine diseases, but most often such pathologies are the result of hormone deficiency or excessive hormone production, autoimmune diseases or neoplasms (tumors). PD Dr. med. Christian Berg is a therapist with an additional qualification "Specialist in endocrinology (hormonal and metabolic medicine), diabetology and angiology (vascular diseases)". With a high specialization and interdisciplinary experience, the doctor provides competent medical care to the patients of the Preventicum Clinic. Also, he is the Chief Physician of the Department of Internal Medicine at the Evangelical Clinic Mettmann. Dr. Berg studied medicine at the University of Duisburg-Essen. 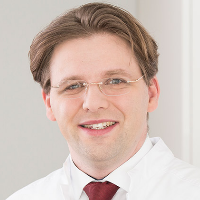 After a long scientific and clinical work, internship at the University Hospital Essen, in 2013, the doctor defended his thesis, after which he became PD (internal medicine). Dr. Berg has many awards and prizes in the field of internal medicine and additional qualifications. Dr. Berg specializes in all types of hormonal disorders, especially in thyroid disease, osteoporosis, hormone deficiency, overweight due to hormonal disorders, adrenal and pituitary dysfunction, menstrual cycle disorders in women and testosterone deficiency in men, growth hormone deficiency. In addition, Dr. Berg conducts clinical practice in the field of vascular medicine – drug and interventional treatment of peripheral arterial occlusive disease, in particular treatment of obliterating endarteritis using the newest sparing methods (balloon and stenting), targeted treatment of atherosclerosis, carotid artery stenosis and occlusions. He also deals with the treatment of thrombosis and venous diseases. Dr. Berg is the author of numerous publications. He regularly speaks at national and international congresses. In addition, he is engaged in teaching activities and gives lectures for medical students. The doctor has voluntarily joined the Financial Support Fund for medical facilities taking care of severely ill patients (Hospizförderverein Essen) and serves as the Vice-Chairman of the German Diabetes Association. Department of Angiology, Phlebology and Endocrinology.